One of the most powerful promotional tools used by Amazon.com is its Today’s Deals page. Through ExportX, New Zealand products have been featured as Amazon Deals in the USA in recent months, with excellent results. The Today’s Deals link is prominent in the Amazon main menu, right below the search box. Today’s Deals was formerly known as the the Gold Box, which was introduced at least fifteen years ago, and today the Today’s Deals page still carries the Gold Box icon. Initially the Gold Box worked by presenting the shopper with a sequence of product discount offers, and the shopper had to make a yes/no decision to each product before progressing to view the next. These days the Today’s Deals page has advanced beyond that original Gold Box mechanism. It now features Deals of the Day, Bonus Deals, Lightning Deals, Savings, Digital Deals and Coupons. The livewire Lightning Deals are discount offers that run for just a few hours or until the allocated stock is sold. Shoppers can’t help but be drawn in by the featured Upcoming Deals and motivated by the urgency of the “Ends in 20 minutes” and “65% Claimed” messaging that updates second-by-second as a Lightning Deal is in progress. Behind the Today’s Deals web page is a large-scale promotional engine that promotes Amazon Deals daily to millions of email subscribers, Twitter followers and Facebook friends. 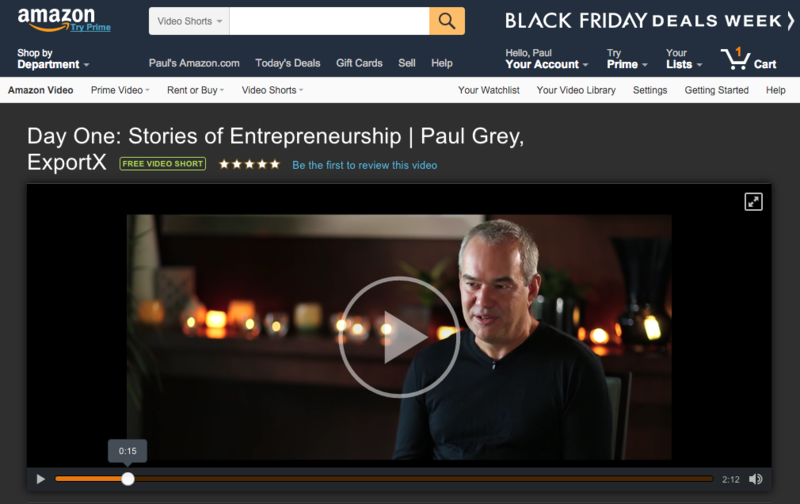 Products that feature on Amazon Today’s Deals reach a huge audience. They’re brought to the attention of far more potential customers than would otherwise see the products. E xportX has been successful in securing Amazon Today’s Deals promotional spots for New Zealand products such as the Go-Go-Station desktop organiser, Abeeco Bee Venom Mask, the Merino Kids baby sleep bag, Happy Valley manuka honey, and the Mumi&Bubi Solids Starter Kit. 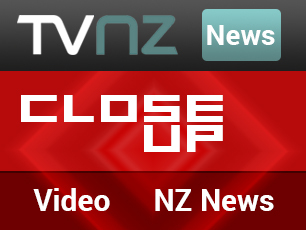 The New Zealand-manufactured Go-Go-Station desktop organiser is a recent example. 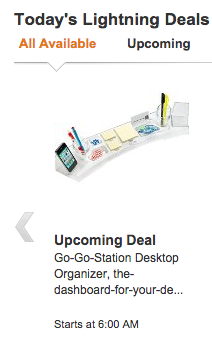 In May the Go-Go-Station was featured as a Lightning Deal by the Amazon Office Supplies department. The promotion of the Go-Go-Station to Amazon’s Daily Deals audience led to a record day’s sales, and propelled the Go-Go-Station to the top of the bestseller list in its category. Being featured by Amazon propelled the Go-Go-Station desktop organiser to the top of its bestseller list.